Connor who loves to skateboard and does so using his hearing. and Carina who simply wants to finish high school, something no one in her family has done, unfortunately she struggles with a school system that can't provide the tools she needs to succeed. 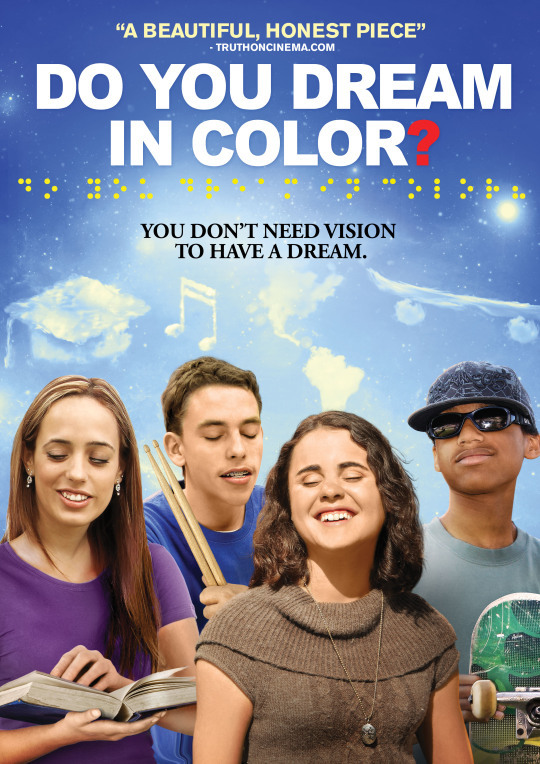 Heart warming and feel good film about kids over coming their disabilities to do the thing they love. Its a film that largely avoids the the rah rah nature that many similar films often take. It does this by actually showing us the troubles of being blind. Nowhere is this more clearly seen then in the story of Carina who is clearly bright enough and smart enough but is living where the school system can not adequately provide for her need despite laws saying they must. Because she can not get the textbooks to follow along in class she ends up falling farther and farther behind. It isn't until she gets an advocate to help her that things begin to change. It clearly shows why many blind people don't finish school and why so many are unemployed. With the down side there is a great deal of upside as well. We see how these four kids are ready willing and able to take on the world when they are given the freedom and materials to actually go out into the world.The drive of these kids is perhaps even more than most sighted kids because without the ability to see they kind of have to try before they are going to be certain thy will fil- and they don't really fail they just come at things in ways that work for them. To be honest I didn't want to review the film. I was given it to review because I was on a list not because I asked for it. Looking for something to cleanse the palaette between things I wanted to see I put this on figuring I would watch it briefly and then turn it off. Instead of turning it off I hunkered down and watched it to the end. I was so delighted that I never made the second film I wanted to see and simply wrote the description of the kids you see above- knowing I would come back the next day to finish writing it up. This is a super film. I will move you not only because the kids are doing great things but because you will realize the injustices that are being done to them and similar kids. Its a film that will touch your head and your heart and is highly recommended.